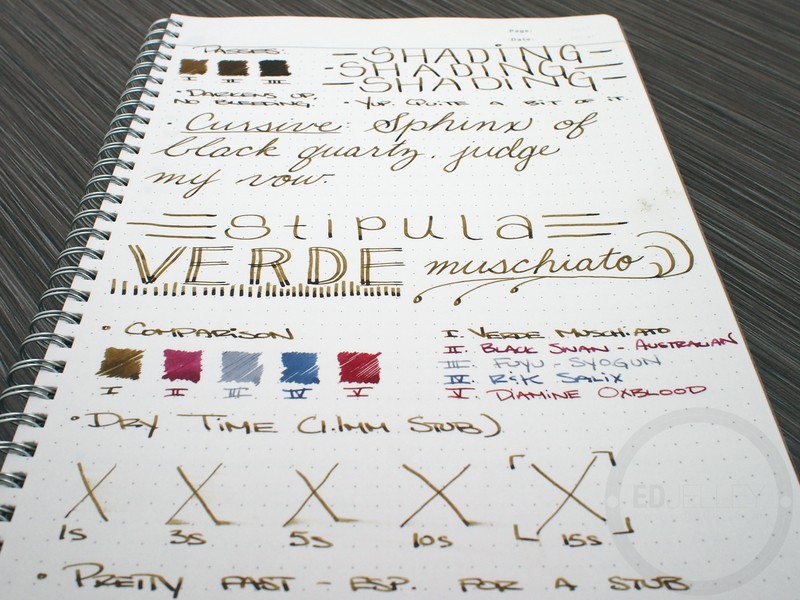 Notes: This is the first Stipula ink I have tried. 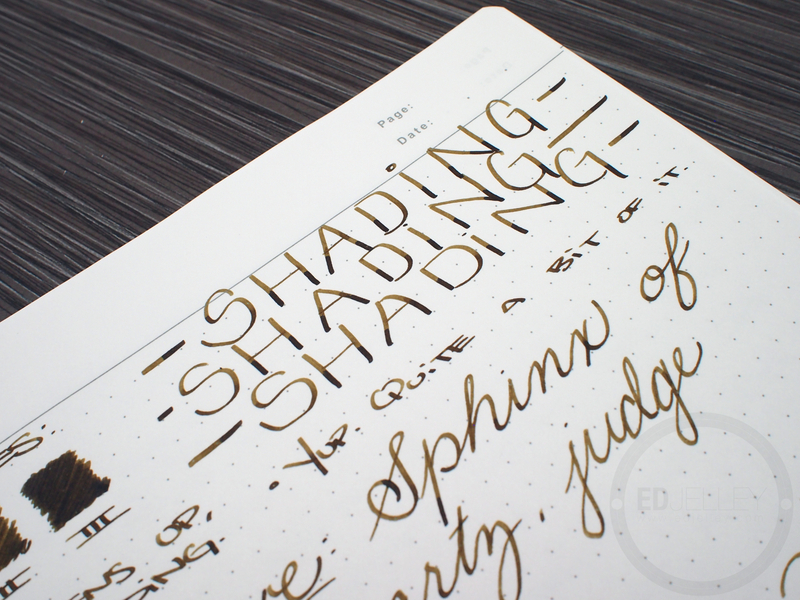 First impression is that there’s some really cool shading going on, especially in the Conklin’s 1.1mm stub nib. As for the color itself, I don’t know how I feel about it. 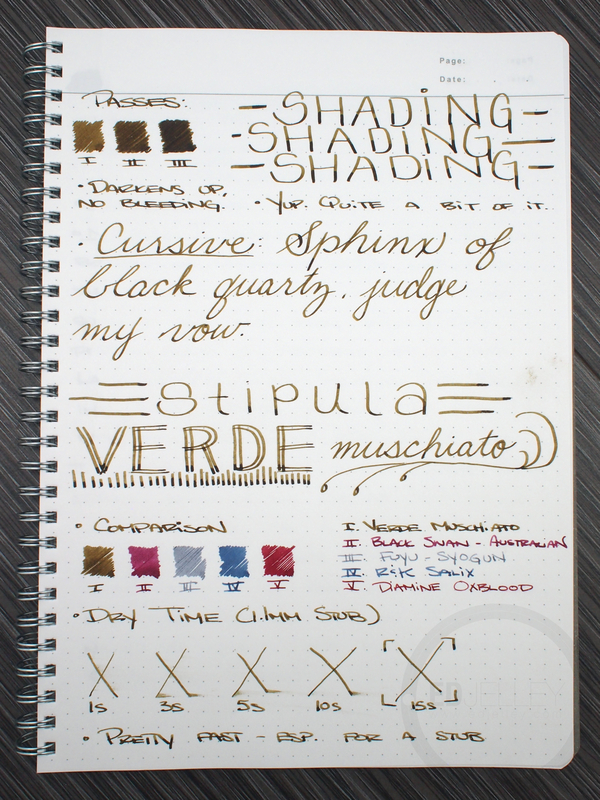 It’s definitely reminding me of Rohrer & Klingner’s Alt-Goldgrun and Diamine’s Salamander. The ink performs well, but it’s slightly on the dry side. I’m not a huge fan of the color, but it’s definitely less intense than the Alt-Goldgrun, which makes it easier to read. I definitely won’t be buying a bottle, but if you’re into the color, it’s not a bad ink by any means. Thanks for reading! 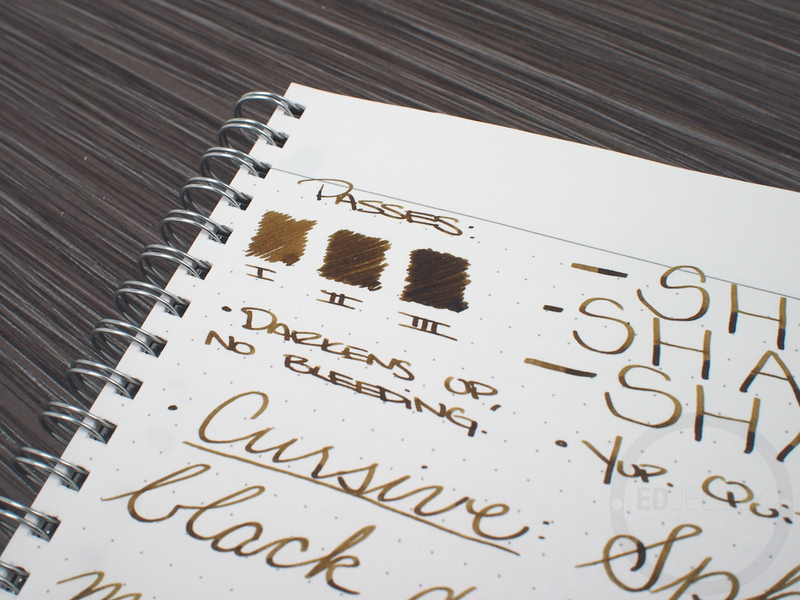 This ink was also part of the awesome ink sample package that Azizah at GourmetPens.com sent over a few months back – so thanks again! Indeed, it is a very confusing and weird colour. It’s kind of “crusty wound green” but if you like it, it’s in a nice way. … Somehow. RIGHT? Yuckkkkkkkk, yup, yup it is. I’ll think of that next time I write with it! I think I prefer Diamine Salamander as my go-to “disgusting” green ink haha. Pingback: Just another pen ? !Blick über den Tellerrand vom 20. 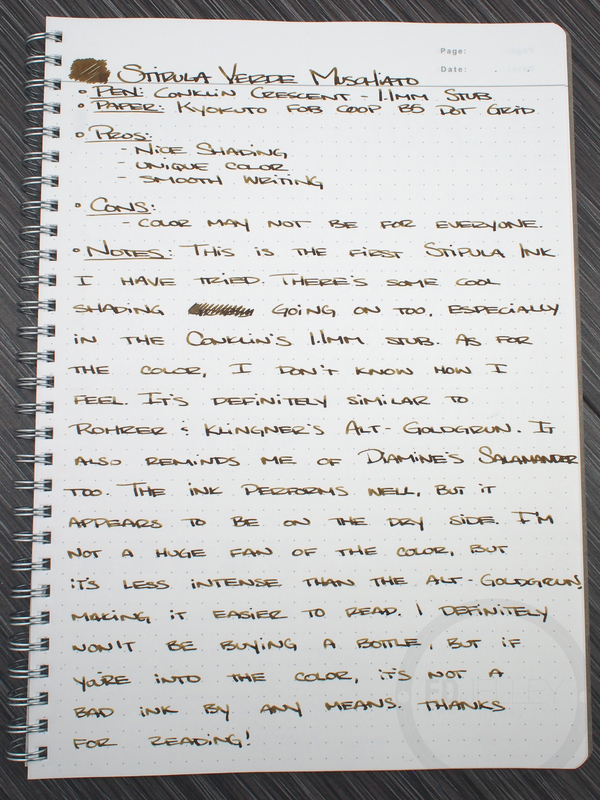 April 2014 » Just another pen ?! 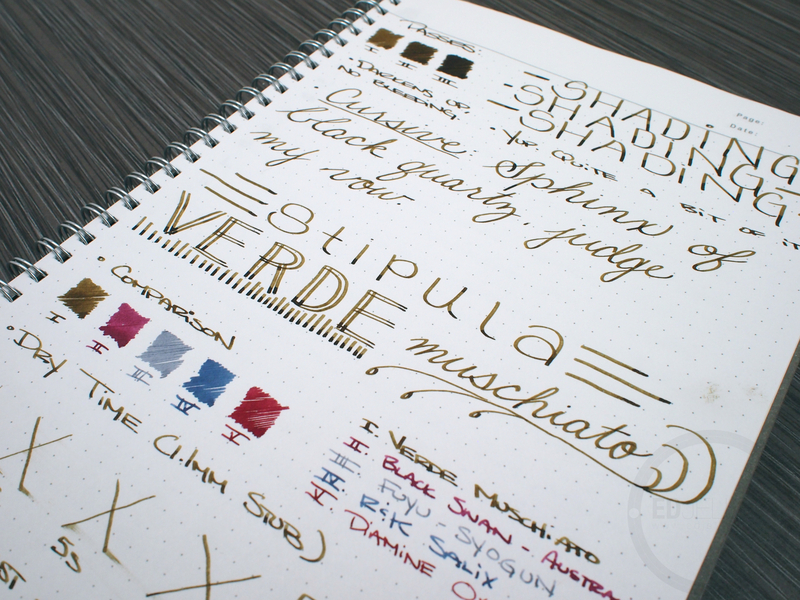 I’m growing very fond of stipula ink. 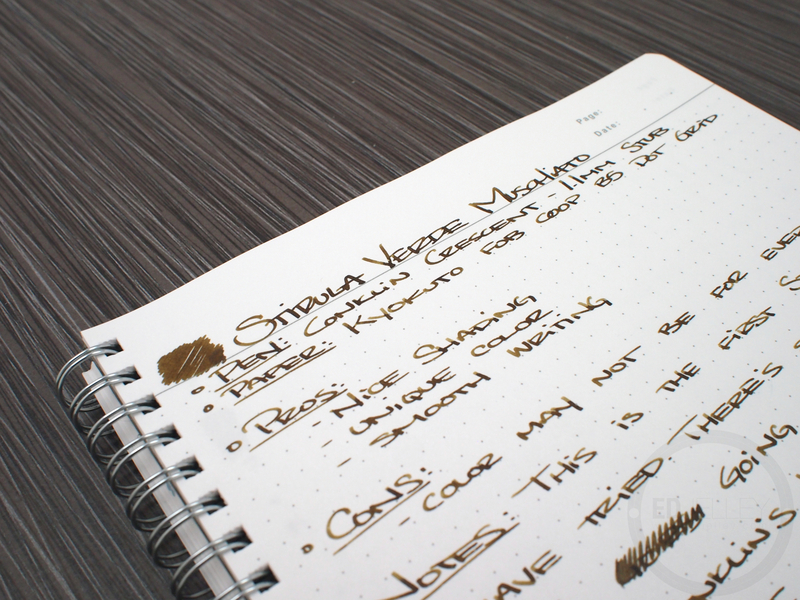 I am using a sample of their ebony black with a fine nib and it is behaving very well in my moleskine pocket journal. 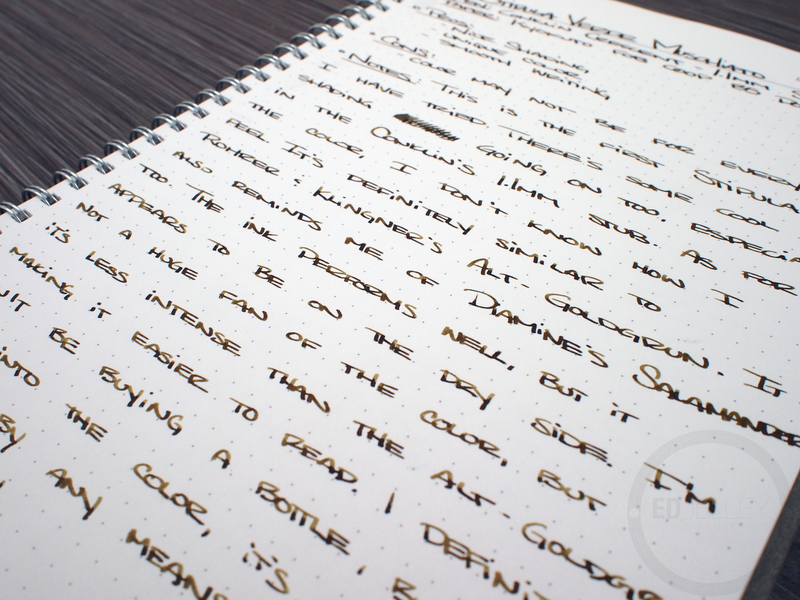 It’s definitely a more dry ink, and I could see how that works better on Moleskine!